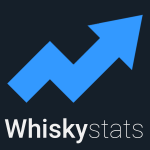 The Whiskystats data-kraken reaches out for the Malt Maniacs Monitor. For the first time we combine whisky ratings with the latest auction results on a larger scale. So do the Malt Maniac ratings influence the market prices? If you spent some time surfing around the various whisky blogs and information sources on the web, there is probably no need to introduce the Malt Maniacs to you. However, if you do not know about the Malt Maniacs, you can imagine them as the whisky enthusiasts council of the wise. This community was started back in 1997, consists of about 30 members and requires a personal invitation in order to be part of it. The mission of this illustrious round is to expand and enhance the appreciation and understanding of malt whisky. Their chosen methods to do so is an archive of articles about whisky, an annual international whisky award and a huge collection of expert´s whisky ratings. Luckily for us, they collect and publish these ratings in the Malt Maniacs Monitor. So on the one side there is the Malt Maniacs Monitor, a database containing more than 50.000 ratings of over 17.000 different whiskies. And on the other side there is the Whiskystats database with more than 220.000 price observations of around 18.000 single malt whiskies. So wouldn’t it be great to combine these two datasets? Wouldn’t it be awesome to analyse how the hugely popular Serge Valentine ratings interact with the prices achieved on auctions? We definitely think so, and that is why we started to work on this project. Today, we want to present you the first results. As some of you may can imagine, it is quite a task to match two such huge datasets. So before we lost ourselves in to many details, we set out for a smaller data exploration mission. We restricted our attention to Islay whiskies only, and there for those whiskies for which Whiskystats had at least one price observations within the last 24 months and the actual matching between the two databases was straight forward (e.g. single cask whiskies are far easier for our algorithms to identify than various editions of NAS standard bottlings). What came out was a set of 577 Islay single malt whiskies for which we now know how the Malt Maniacs rate them and what the secondary whisky market would pay for them. Just to give you an overview, in this set are 76 Bowmores, 98 Port Ellens and 141 Ardbegs and of course also some bottlings of all other Islay distilleries. The ratings vary from 62 to 97 points (maximum is 100) while the prices range between 26 to 6.300 Euros. First we want to focus on the ratings alone. As already mentioned, the maximum rating is 100 points. In total we find ratings from 21 different Malt Maniacs members which combined (by taking the average) result in the overall Malt Maniac score, on which we restrict our attention for the time being. Now we want to find out which Islay whiskies the Malt Maniacs prefer. 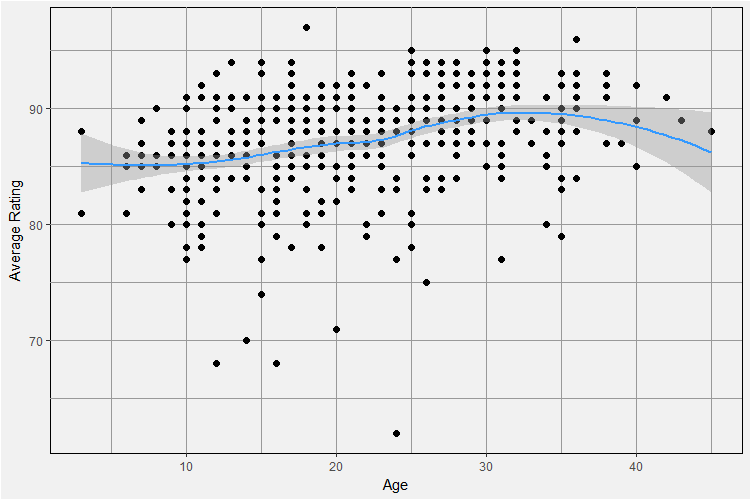 For this we start off by simply plotting the age statements (if available) against the respective scores. To support the visual identification of patterns we also added a smoothing regression function, which simply tries to explain the functional dependency between age and score. We see that our (blue) regression line, which would be our best guess for a rating if we only knew the age of a whisky, rises from 85 to 90 points as the age moves from around 10 to 30 years. It also seems like the Malt Maniacs do appreciate longer maturation time for Islay whiskies but only up to a certain level, which looks like to be just above 30 years. The same game can be played for the vintage statements (if available). 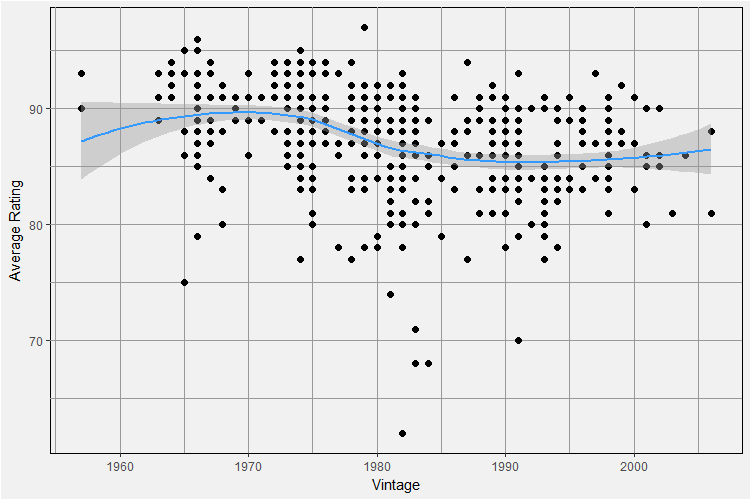 Like one would expect from the above results, we now see the regression line fall from 90 points for vintages in the sixties to 85 points for whiskies distilled around 1990 and after. So by now we know that the Malt Maniacs favourite Islay whisky would have been distilled in the 1960s or early 70s and aged for 30 or so years. To sum up this little analysis we simply compute the average ratings per distillery. By doing so we see that with an average score of 88,6 points it is Laphroaig which sends Ardbeg (88,42 points) and Lagavulin (88,4 points) on the places two and three. And indeed we find the Laphroaig 30yo (1966) Cask 561 bottled by Signatory Vintage in our database which achieved a Malt Maniacs score of 95 points (details here) and was just traded last month for 3.900 Euros on WhiskyAuction.com. Which raises the next question: How do these ratings and the auction prices interact? Today we will not answer the above question, but only have a look at the data in our hand. For this purpose we of course plot the (averaged) Malt Maniacs ratings against the latest auction results. Again we add a (blue) regression line which would represent our best guess for a secondary market price if we only knew the Malt Maniacs score. We see that the majority of Islay whiskies get ratings between 80 and 95 points. 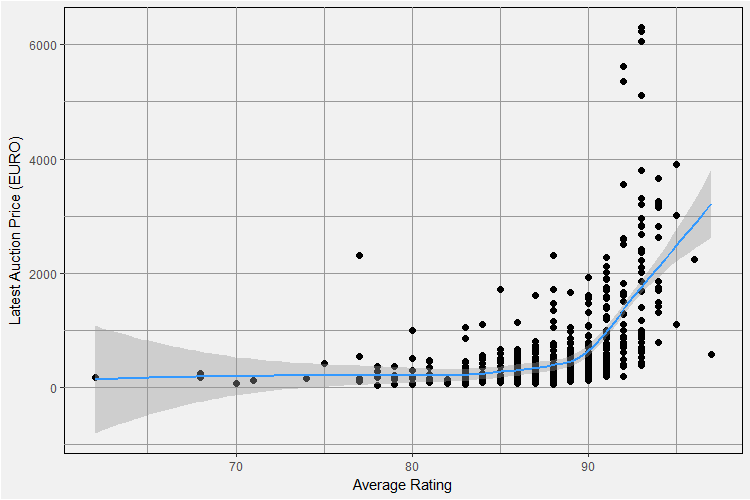 We also see that the variability in prices increase as the rating increases. Especially for whiskies with a rating above 90 points we observe a very steep slope in the price curve. But also from 80 to 90 points the prices seem to rise as the ratings increase. And then we can use this graphic to identify the outliers which will be nothing but the most underestimated and overpriced Islay single malt whiskies. The Ardbeg 31yo (1974) Cask 2741 is currently selling for more than 2.300 Euros. It is an old vintage long matured Ardbeg single cask bottling, so no wonder prices more than quadrupled from 500 Euros back in September 2007. But the Malt Maniacs, in detail Robert Karlsson, were not impressed by these facts and rated it with a very humble 77 out of 100 points. On the other side there is the Laphroaig 18yo (1979) Cask 5965 bottled by Blackadder. With 97 points from Thomas Lipka this is simply the highest rated Islay single malt out of the 577 in our dataset. In April 2015 one lucky buyer was able to get one of these 248 bottles for little less than 580 Euros. Seems like very good value for the money indeed. Based on what we have seen above we conclude that there is indeed a relation between the Malt Maniacs ratings and the prices paid on whisky auctions. Since we assume that the Malt Maniacs members don’t get influenced by the (secondary market) price of a whisky, the question is if high ratings lead to higher prices. In the first place, of course, both high ratings and high prices simply come from good tasting whisky. But if there are only a few bottles available, the buyers can not taste each whisky in advance. Hence they depend on high quality ratings and there the Malt Maniacs are the number one place to go! In order to keep up with the ever-changing secondary whiskymarket we enlarge our whisky database every month. In this series we analyze our monthly price updates, talk about the major price movements and highlight some particular bottles. 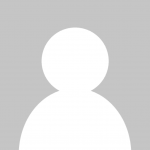 This topic contains 2 replies, has 2 voices, and was last updated by Whiskystats 2 years, 4 months ago. Any chance i could get the data set you graphed here?!! I wouldn’t mind seeing which bottles are below that blue line! This reply was modified 2 years, 4 months ago by Richard Shipperbottom. I will send you some data as soon as I find the time.